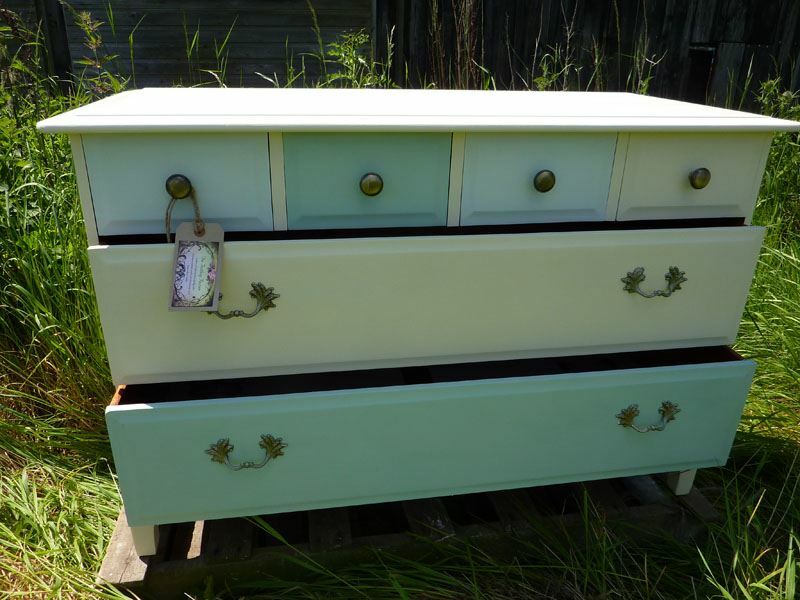 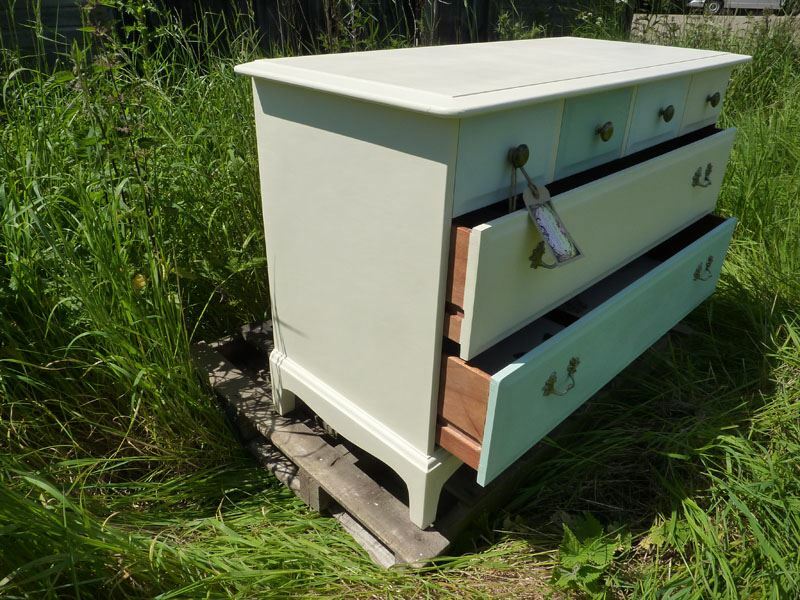 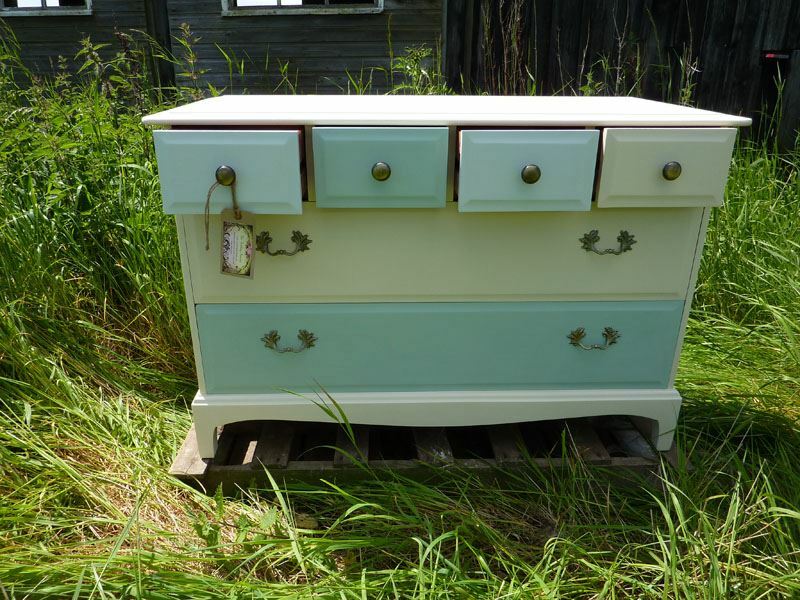 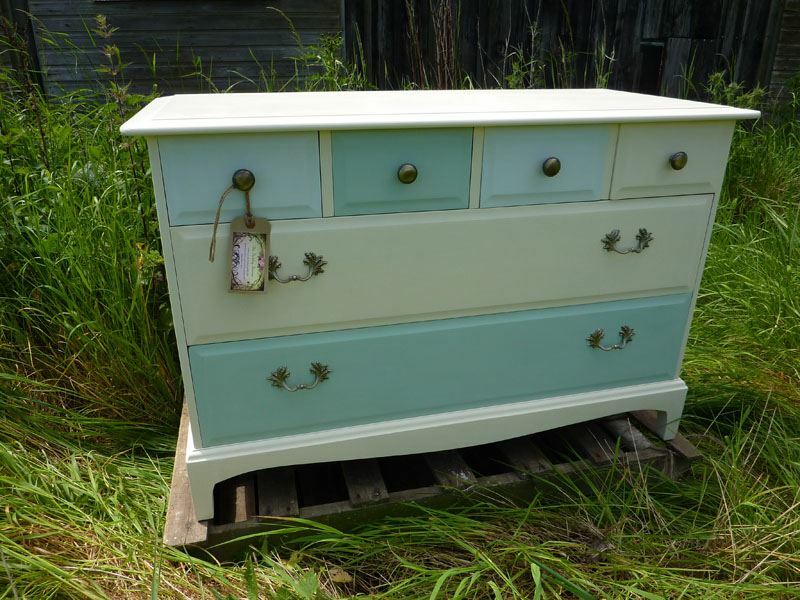 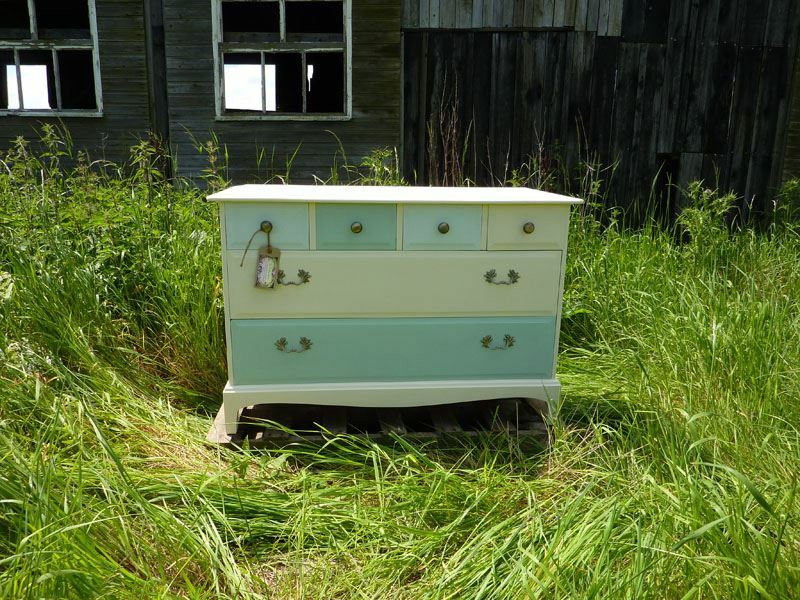 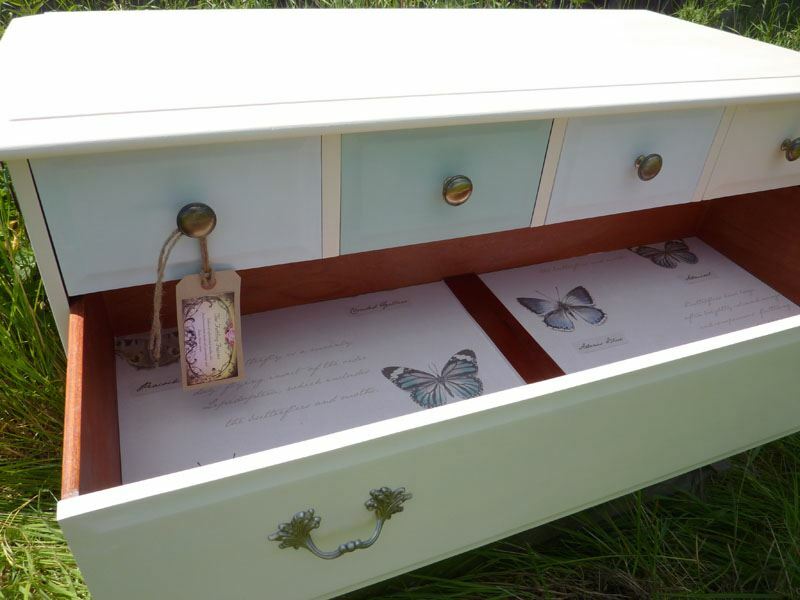 We have painted this Stag six drawer chest of drawers in three coordinating eggshell colours, Laura Ashley Pale linen, Pale Duck Egg and also Flagon by Crown . 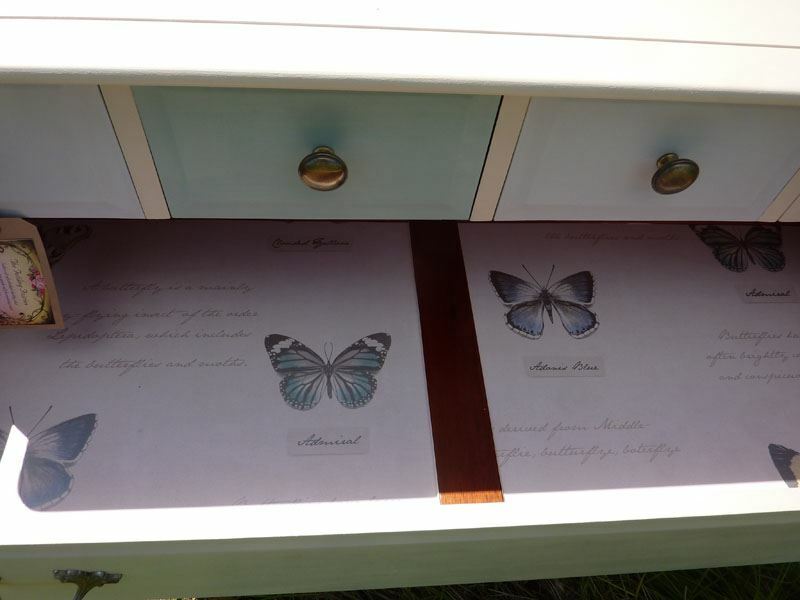 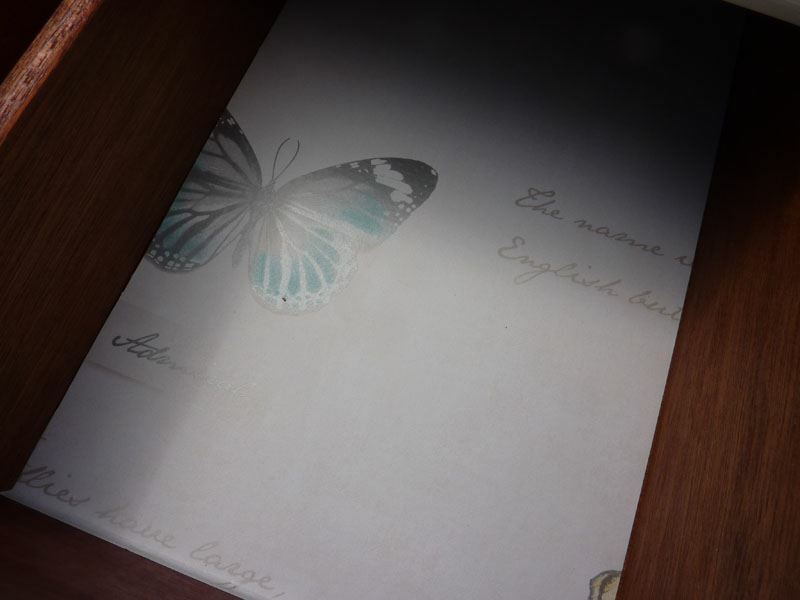 All the drawers have been lined with beautiful Butterfly paper. 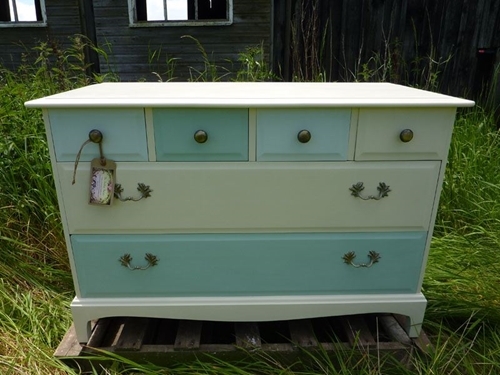 To complete the look we have added vintage knobs and handles.